To comply unveiled the 'Cormorant', an export variant of AirMule that will carry a 440 Kg useful load to a distance of 300 Kilometers, thus complying with with MTCR limitations. The ‘AirMule’ Vertical TakeOff and Landing (VTOL) Unmanned Air Vehicle (UAV) successfully completed its first untethered flight at the Megiddo airfield in northern Israel on December 30th, the developer Tactical Robotics Ltd announced. On this first flight the AirMule performed a vertical takeoff and landing, followed by stability checks and forward flights at low speed. 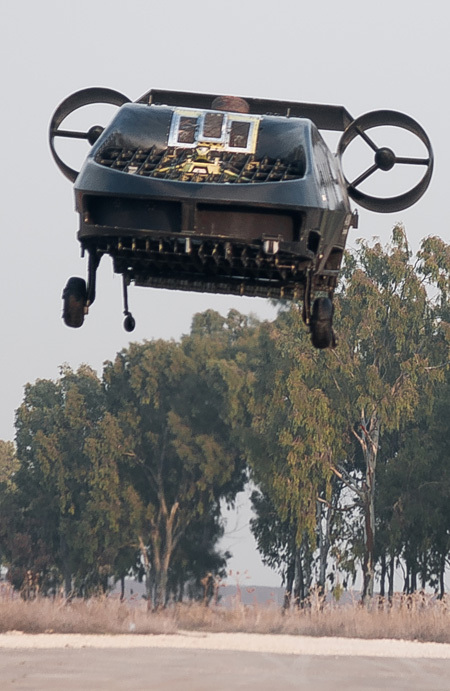 The Airmule and its export variant ‘Cormorant’ are developed by Tactical Robotics, a subsidiary of the ‘Fancraft’ technology pioneer Urban Aeronautics. Unlike conventional helicopters with exposed rotors, the internal lift rotors used by the AirMule enable the drone to fly inside obstructed terrain. It will also be able to deploy from naval vessels that are too small for a standard unmanned helicopter. “With close to 200 flights on the AirMule prototype we are confident that this capability can be fielded in just a few years” Yoeli added. When fielded, AirMule could provide breakthrough capabilities to any military force or civil agency that needs to robotically deliver systems, supplies and other provisions in and out of otherwise inaccessible environments. 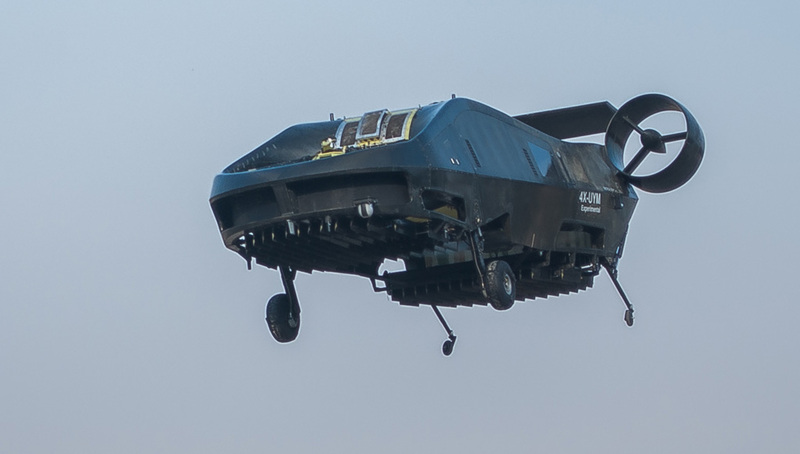 The AirMule and ‘Cormorant’ are both compact, unmanned, single-engine, VTOL aircraft. In the current version the one-ton aircraft is powered by a single 730 shp Turbomeca Arriel 1D1 turboshaft. Production aircraft will use the more powerful ARRIEL 2 variant, capable of providing 985 shp at takeoff. When operated as tactical support missions a single AirMule is capable of ferrying 500 Kilograms of useful cargo per each 50 Kilometer radius sortie, thereby delivering approximately 6,000 Kilograms over 24 hours. Therefore, a 10-12 AirMule ‘Mobile Supply Unit’ can deliver supplies, day after day, to sustain 3,000 combatants, while at the same time ferrying back their wounded and casualties. 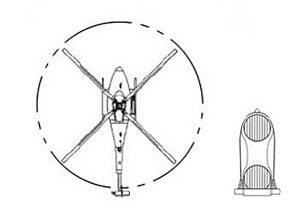 Internal lift rotors enable the aircraft to fly inside obstructed terrain where helicopters are unable to operate. It will also be a maritime force multiplier on vessels that are too small for a standard unmanned helicopter. To comply with MTCR limitations the ‘Cormorant’ variant will carry a 440 Kg useful load to a distance of 300 Kilometers. However, on closer ranges higher useful loads are possible. The maximum speed of Cormorant and AirMule will be 100 Knots and it will be able to operate at altitudes of up to 18,000 feet. Urban Aeronautics is also promoting compact, car-sized, manned VTOL aircraft variants for civilian use under its second subsidiary – Metro Skyways. “Metro Skyways is at an early stage of exploring business opportunities that will develop Urban’s ‘Fancraft’ technologies into a family of safe, FAA certifiable personal and commercial, manned VTOL aircraft for the civil market”.